KATHMANDU, Sept 15: The Ministry of Industry, Commerce and Supplies (MoICS) has been delaying to increase the quota of gold import, exacerbating the shortage of the yellow metal in the market. 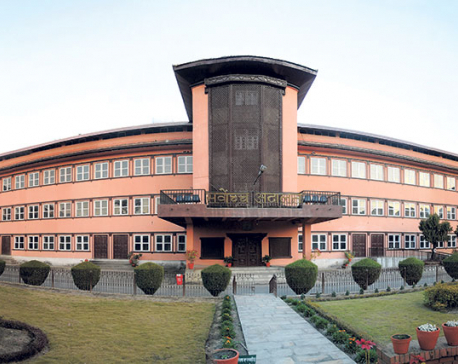 The Nepal Rastra Bank (NRB) had written the ministry six months ago proposing to raise the daily import quota to 25 kg to meet rising demands. It is up to the ministry to take the final call on whether to increase the import limit. Jewelers say that gold is in short supply in the market on account of rising demands on the eve of the wedding and festive seasons and that there is limited supply due to import restriction. The recent crackdown on gold smuggling has also worsened the crisis, apparently. While the jewelers deny that they accept smuggled gold, observers say that such gold eventually gets consumed in the market. The central bank has currently set a daily import quota of 20 kg for commercial banks. These banks take turn to import gold and sell it in the market. In January, the NRB has proposed the ministry to raise the import quota by 5 kg per day keeping in view the rising demand. However, the ministry seems to be reluctant to ease the restriction on gold import this year unlike in the past years when the import quota used to be increased on the eve of wedding and festive seasons. "We are still discussing the recommendation made by the central bank regarding the increase of gold import quota," Chandra Ghimire, secretary at the MoICS, told Republica. "There is a separate mechanism in the ministry that makes the final call on this issue. The decision will be made at an appropriate time," he added. The reluctance of the ministry comes at a time when the country's external sector is facing stress. The trade deficit is widening at an alarming rate, while the current account of the country also slipped into deficit. According to the NRB's data, the current account deficit rose to Rs 245 billion, or 8.2 percent of the GDP, in the last Fiscal Year 2017/18, from the Rs 10 billion (0.4 percent of GDP) of the previous fiscal year. The trade deficit widened 26.7 percent to Rs 1,161.64 billion in the last fiscal year as the total import elevated to Rs 1,242.83 billion, while total exports bill amounted to Rs 81.19 billion. 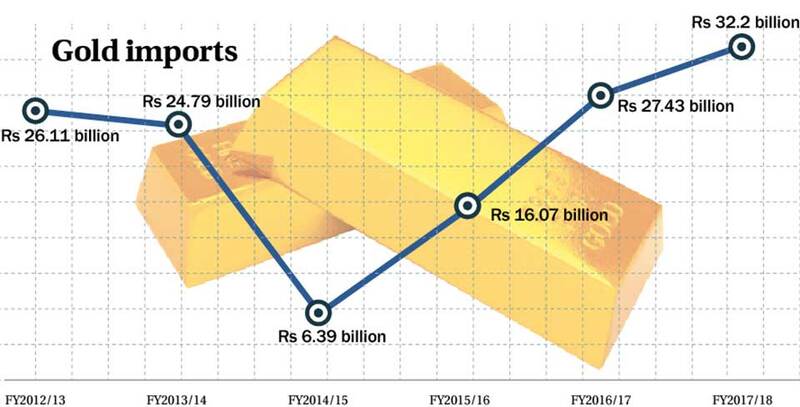 The NRB data shows that the country imported a total of Rs 32 billion of gold in the last Fiscal Year 2017/18, up by 17 percent of the previous Fiscal Year 2016/17. The recent appreciation of the value of US dollar has also given the government a pause to raise the import quota, according to a senior official at the MoICS. "The value of dollar is rising rapidly. The balance of payment position is not so strong. We have to weigh on the merit of the proposal to raise the import quota of gold that does not add value to our economy," added the official.